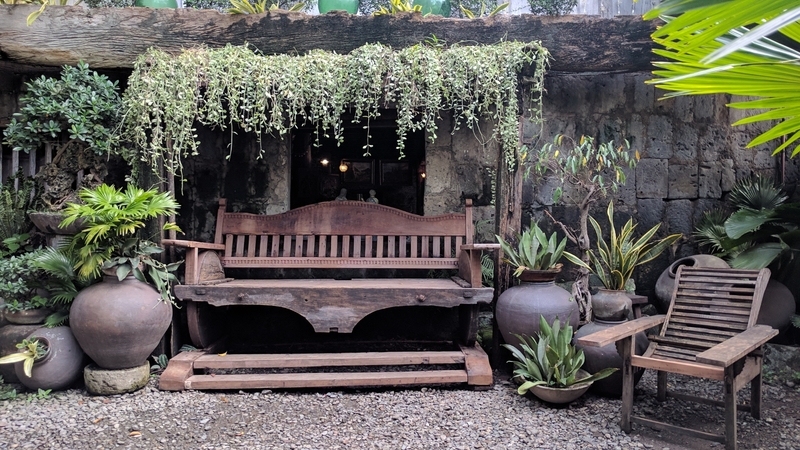 It’s been a while since I’ve posted anything on this blog. Mainly because it’s been a while since I’ve travelled on my own, with time to spare post-travel. So I’m going to post something on the fly, in the hopes of getting into the habit of documenting my trips more consistently. This episode finds me in Cebu City, the heart of Philippines’s Visayas region. With just one afternoon to explore, I decided to venture towards the historic district. And, as I do with most of my travels, I started off on foot. Because the architect / urban designer in me just needs to get a feel of the urban fabric. Plus I’m cheap. Walking around Cebu City on a holiday feels strangely like walking around Hi Chi Minh City, Yangon, or even Colombo. (I don’t think I’ve written about my travels in those cities, either.) There is a run-down, dusty, old school feel to the place. The only difference is the reduced greatly reduced number of motorbikes (vis-a-vis HCMC) and the absence of public water stations (Yangon). And of course, this being the Philippines, you encounter a karaoke bar every 700m or so. Otherwise, it feels much like a burgeoning south-east Asian city. Once in a while you will come across a disused building that dates back to the art deco period, which adds to its charm. 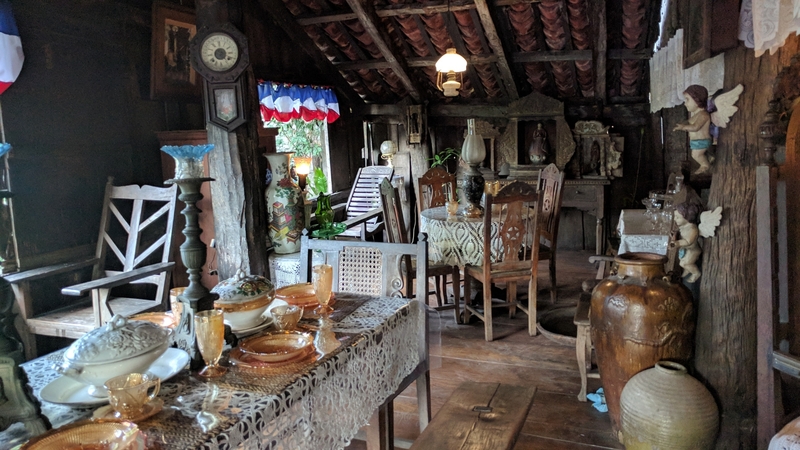 Packed to the gills with old furniture, photos, paintings, and decor, the Yap-Sandiego Ancestral House is very much like a typical Filipino home. Practically 90% of its spaces are optimised for dining. Every other free space is filled with decorative items or memorabilia. And you will find your aunt’s crochet pieces littered all over – even on the balustrade. The garden is less busy, and actually feels like a small oasis. From the outside, you would never have guessed that you’re in for a sensory overload indoors. Still, the house does have gems of its own, if one cares to look. An old shortwave radio and vintage telephone remind me that long-range communication used to be less accessible back then – and perhaps, that’s not entirely a bad thing. 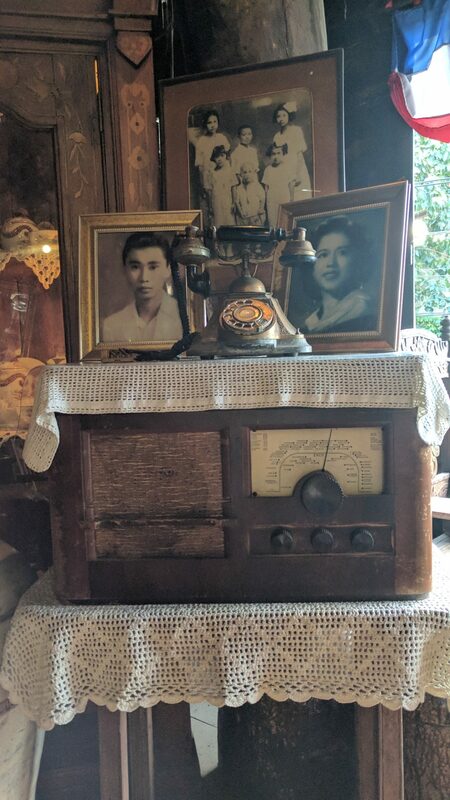 If you’re the type to enjoy old houses and random artefacts of daily life, do drop by the Yap-Sandiego House when you’re in Cebu. It’s not glamorous or polished, but you can’t deny that on some level, it is very real. Including cobwebs on pendant lamps and random gunk below the roof tiles.